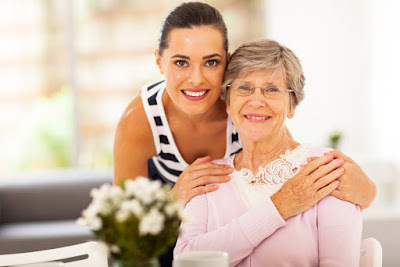 Home Finance Professional Care Finance Tips How to Finance Professional Care for a Senior Loved One? How to Finance Professional Care for a Senior Loved One? We love our parents. They are the ones who took care of us when we were young and thought us how to live. And in their senior years, we often return the favor. Sadly, taking care of your senior parents at home and on your own is not always an option. Fortunately, there are many alternatives meant to help individuals in such a predicament. A simple search online will bring up thousands of retirement homes and companies like A Better Way in Home Care offering in-home care and assisted living services. However, these alternatives sometimes prove to be too expensive for most. Not everyone realizes how high the assisted living costs are until they are forced to look into it. These costs can be so high that they can seriously impact your quality of life and drain your family budget. According to the Genworth Financial’s Cost of Care Survey for 2016, the median cost for homemaker and home health aide services is $20 per hour, while adult day health care costs around $68 per hour. For seniors living in a nursing home, you’ll have to pay around $225 per hour for a semi-private room or $253 per hour for a private room. Finally, for seniors living in an Assisted Living Facility, you will have to spend a stunning $3,628 per month. Although these costs are pretty high for some families, fortunately, there are several strategies you can use to fit this expense into your budget. The biggest mistake you could make in this situation is not planning ahead. If you discuss this topic with your senior loved ones early, you will have the time to prepare financially and they will be able to prepare mentally. If you look into retirement home options early you will also get a head start in the often long waiting lists. The costs of senior care vary in different states and areas. If you are trying to squeeze your senior loved one’s retirement plan into your budget, you might want to look into how much senior care costs in your neighboring states. For example, while a semi-private room in New Jersey costs around $9,885 on a monthly level, the same arrangement costs $5,931 in Alabama. Most commonly, Americans fund their retirement through social security benefits. However, there are other benefits that could help finance your senior loved one’s home care needs. If they have served in the armed forces, they might be eligible for Veteran’s Benefits. This could, in turn, help fund their senior care. However, there are a few criteria your senior loved ones must meet. They must have had at least 90 days of active duty with at least one day during wartime. Furthermore, the senior has to have been discharged from the service honorably. They have to be permanently or totally disabled or over 65 years old. Finally, their countable family income must be lower than a standard governed by the law. There are several financing options that could help you get your senior loved ones the care they deserve. One of the most popular ones is a bridge loan. These loans are backed by a collateral, real estate for example, that provides a constant cash-flow source. This way, if your senior loved one has a home but has to move to a retirement home, a bridge loan could help with some expenses. Similarly, long-term care insurance and life insurance can be used to finance their care. A life insurance policy can be borrowed against or sold to a life settlement company. However, there are some downsides to selling a life insurance policy as well, so make sure to resort to that only if necessary. The most common way families pay for senior care is selling their senior loved ones’ home to finance professional care. This is a fairly reasonable trade of one housing cost for the other which won’t affect your budget. However, if there’s no real estate to sell, it might be wise to turn to your siblings and ask for their contribution in financing senior care. Finally, if all else fails you might want to look into other, more affordable senior housing choices like renting in senior communities. Getting to know all your options can help you plan your budget better. Research every one of these options and you will find a way to help your loved one without seriously compromising your family budget. Talk to a financial expert if you want to find all the retirement financing options that could help your senior parents and your family.